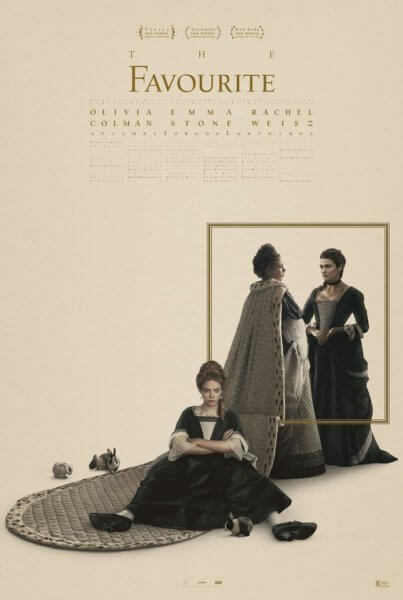 Emma Stone and Rachel Weisz square off and battle for Olivia Colman’s attention in the official trailer for The Favourite. The awards season release is set in the 18th century and finds Stone and Weisz playing companions of Queen Anne, played by Olivia Colman. In addition to Emma Stone, Rachel Weisz, and Olivia Colman, the cast of The Favourite includes Nicholas Hoult, Joe Alwyn, and Mark Gatiss. Yorgos Lanthimos (The Killing of a Sacred Deer, The Lobster) directed from a screenplay by Deborah Davis and Tony McNamara. Ceci Dempsey, Ed Guiney, writer/director Yorgos Lanthimos, and Lee Magiday served as producers. Andrew Lowe, Daniel Battsek, Rose Garnett, Ken Kao, Josh Rosenbaum, Tony McNamara, and Deborah Davis executive produced. The behind-the-scenes team includes director of photography Robbie Ryan, costume designer Sandy Powell, production designer Fiona Crombie, editor Yorgos Mavropsaridis, and hair and makeup designer Nadia Stacey. Fox Searchlight will open The Favourite in select theaters on November 23, 2018. The film expands into wide release in January 2019. The Plot: Early 18th century. England is at war with the French. Nevertheless, duck racing and pineapple eating are thriving. A frail Queen Anne (Colman) occupies the throne and her close friend Lady Sarah (Weisz) governs the country in her stead while tending to Anne’s ill health and mercurial temper. When a new servant Abigail (Stone) arrives, her charm endears her to Sarah. Sarah takes Abigail under her wing and Abigail sees a chance at a return to her aristocratic roots.